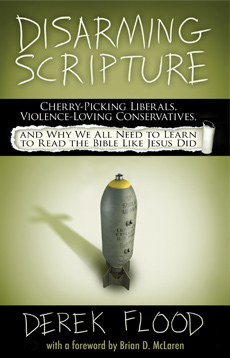 A scandalous awakening of radical grace in life and leadership. and live a life that rebels with grace for everyone. 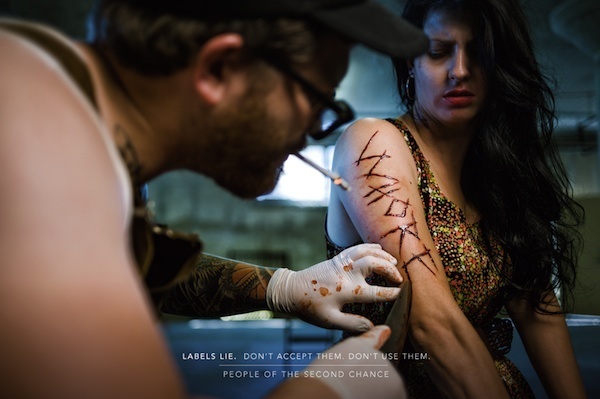 POTSC has an ad campaign, called "Labels Lie," that draws attention to the ways that labels tell lies about who we are that can be devastating. The images are graphic, shocking, and deeply moving. They are the kind of images we tend to censor because our real lives can be shocking. It's not the kind of thing you want to reveal in polite company. They reveal the ugliness that we are all afraid to show. They reveal our deepest wounds, our failures, our fears, our brokenness. They are heartbreaking. It is precisely into that place of woundedness, failure, fear and brokenness that Jesus wants to come. Faith is not about certainty; it is about vulnerability. It is about having the courage to let Jesus into our screwed up lives, the courage to be loved for who we really are. It is the outrageous hope that we would still be loved if God knew about all the things we try to hide. We need to begin there in that place of honesty, and then we need to hear when God says to us: These labels are lies about who you are. God sees us, all of us, and sees someone beautiful, someone beloved. Not because love is blind. Not because we hide things well. But because love sees much deeper. That is the truth about who you are. You are loved. 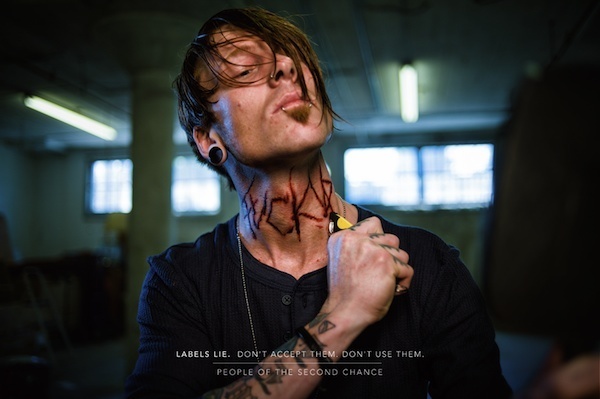 These labels alienate us. They shut us out, they paralyze us, they destroy us. They are lies. That's why we need to be careful. It's good for us to be real, for us to admit our need and allow God to come in to those broken places in us. 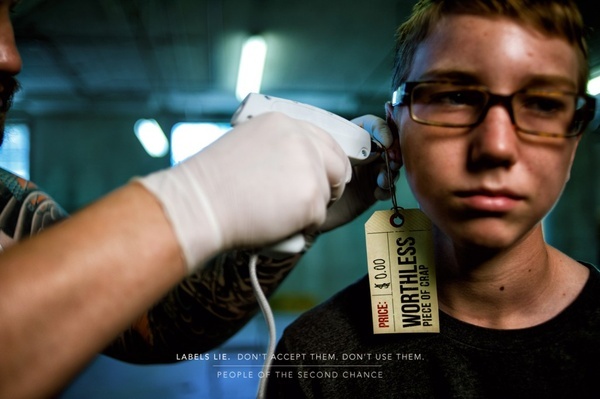 But we shouldn't let ourselves be defined by these hurtful images, nor should we define others by them. Jesus did not come labeling others as "sinners" and "whores," he came to write love on our arms. Preachers are so afraid of that kind of radical acceptance and unconditional embrace. You probably know the story of the woman who was caught in adultery. The religious leaders wanted to stone her to death, but Jesus stands in their way and defends her, saying "Let the one who is without sin cast the first stone." One by one they all walk away, and Jesus is left with her. He then turns to her and asks "where are your accusers?" She looks in his eyes and answers, "They are gone Lord." And then the one who was without sin, the only one who is able to throw a stone, says "Then neither do I condemn you. Go in peace, and leave your life of sin." It's an amazingly powerful story, and I think every time I have heard it told in church the preacher could not resist stressing that last line "go and leave your life of sin." As if Jesus wanted to say "Now don't take this for granted. You need to pull your act together." These preachers are worried about behavior, but Jesus was worried about her. Yes of course she wants leave that life. Who wants to live in a broken identity when you have just met love? Those words were not an admonition (as if Jesus was having second thoughts about what he had just done). It was an invitation. An invitation to leave her hurtful and broken identity, and to enter into a new one. That's what repentance is really about. It isn't about pretending we don't have these wounds, and it isn't even about merely changing outward behavior. On a much deeper level it's about not letting ourselves be defined by these hurtful identities, and instead living into a new identity where we are loved unconditionally. Being loved like that changes everything. As we begin to see that, we can have the courage to show that same radical grace to those around us too. This isn't about religion. In fact, it is often religious people (especially the ones who have gotten hold of a microphone) who are the worst at using those hurtful labels. This is the kind of stuff that scares the crap out of lots of religious folks because it's messy and dangerous and real. It doesn't look presentable, respectable or dignified. But it is nonetheless beautiful. It's about trusting that if we know what it is like to be radically loved, and love others like that too, that can change the world. And so I say: You are loved. Right now. No matter where you are at. No matter how far away you feel. You are loved. Don't ever forget that. There is always a second chance. Soooooo... good! And so refreshing! I guess the only thing I would have an issue with (like I have all the answers. NOT!) is; I believe that the Father, Son, and Spirit found a way into our darkness, brokenness, and shame through the cross. And the gospel is not the news that we can receive Jesus into our lives. 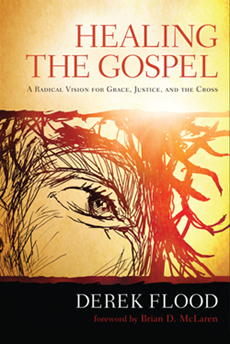 The gospel is the news that Jesus has received us into his. The gospel is all about the fact that the Son of God, who enjoys life with his Father in the fellowship of the Spirit, became human--came across to our side of the table--so that he could share nothing less than this life with us. I love, as Robert Capon says, that it’s not the lostness of the sheep that drives the parable in Luke 15—it’s the goodness of the shepherd. The shepherd loses the sheep and acts out of his own goodness to alleviate his own loss. The finding, the saving, are all in his hands—the sheep do nothing but get lost. It’s all grace. Yes, I can add my "amen" all that you say above. Good stuff!